Shine with the Seemyool Harness! From today through October 15th, the Shiny Seemyool Harness will be available for direct purchase in the online shop at the unbeatable price of €7! 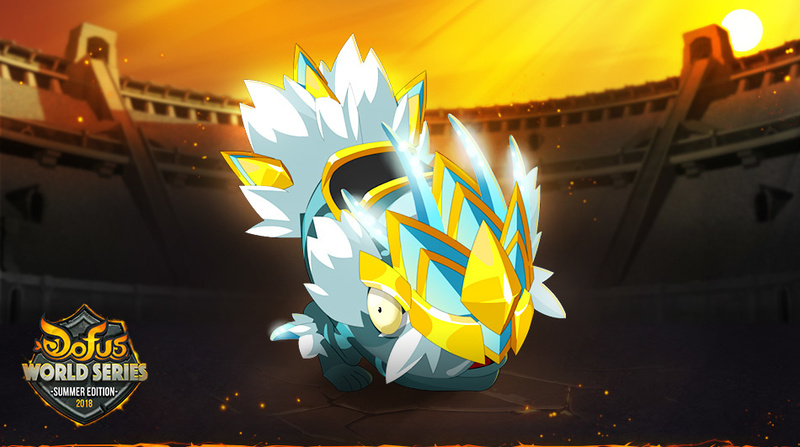 Just what you need to shine like the socialite you are while driving up the cash prize for the Summer 2018 DOFUS World Series. Find out more in the news! Today, So, the Meridia of Bad Temper, is in an especially bad mood… Why? Because you, unlike her, won't need cheering up! You know how it goes: News travels fast, even to the highest spheres of Ingloriom… So, naturally, when the minor goddess heard that the Shiny Seemyool Harness was going to be putting you in a good mood through October 15th, her mood soured… Oh, yes! She can put all the good will in the World of Twelve behind her, but today, not a single Twelvian will be influenced by her gloomy mood!